So, you jog four times a week and you think you’re in great shape? Yet, you might be missing out on the great benefits of cross training. Just because you have a passion for one sport doesn’t mean you can’t switch it up every now and then! Many of the top Olympic athletes incorporate cross training into their regimen to reach their peak performance capabilities. Here a few reasons why you should switch up your workouts. Cross training can prevent injury in your current sport by reducing the amount of stress you put upon those specific muscles. By hitting the muscles at different angles, cross training can help protect your body from an overuse injury compared to if you’re only doing one sport. Additionally, cross training can reduce muscle imbalances that might result in an injury. By breaking out of your normal routine, you increase the likelihood of staying motivated. Doing the same thing over and over and over again can eventually get old. So try something new! Instead of swimming, go wakeboarding. Instead of lifting weights, go running. Instead of beer pong, play kings cup! (Ok, maybe cross training drinking games won’t be that conducive to getting in shape). Trying different sports can allow you take advantage of your body’s flexibility. Adding yoga, pilates, or swimming to your weekly routine can help give you a more holistic approach. If an injury prevents you from doing the sport you love most, try other training methods that can help keep you in shape! For example if you have shin splits from running, swimming can be a great option to keep up your cardio vascular fitness up. Always check with your doctor to be safe. Cross training can help you target different muscles you wouldn’t normally hit in your workout regimen. 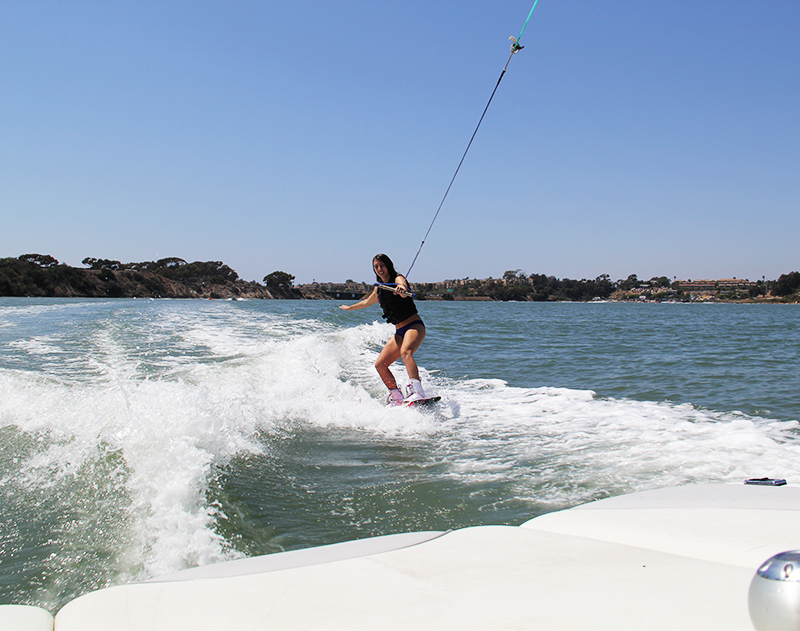 I run and spin every week but as soon as I went wakeboarding for the first time in a year, I felt sore in places I haven’t been in years. Moral of the story, switch up your routine to truly stay in peak shape.